Back in September when Cork’s midfield powerhouse Aidan Walsh was starting in his first year in DCU, surely he could not have envisaged the year that lay ahead for him. The P.E and Biology student came to DCU expecting to be able to line out for the reigning Sigerson cup champions but instead found himself embroiled in an eligibility controversy (that was reported on these pages) along with Donegal goalkeeper Michael Boyle that prevented the pair from playing for DCU. Admirably, Walsh remained upbeat throughout the year and informed the College View Sport that he has no regrets about moving up to Dublin to attend DCU. Aidan came to DCU on a sports scholarship and if he cannot compete for the DCU GAA team next year he faces the prospect of losing that scholarship. However, Walsh is adamant that he will come back to DCU next year regardless. The absence of Walsh made life that bit more difficult for DCU to retain their crown. The Kanturk man feels that it was the immense hunger of the DIT side that won the semi-final against DCU in the end. 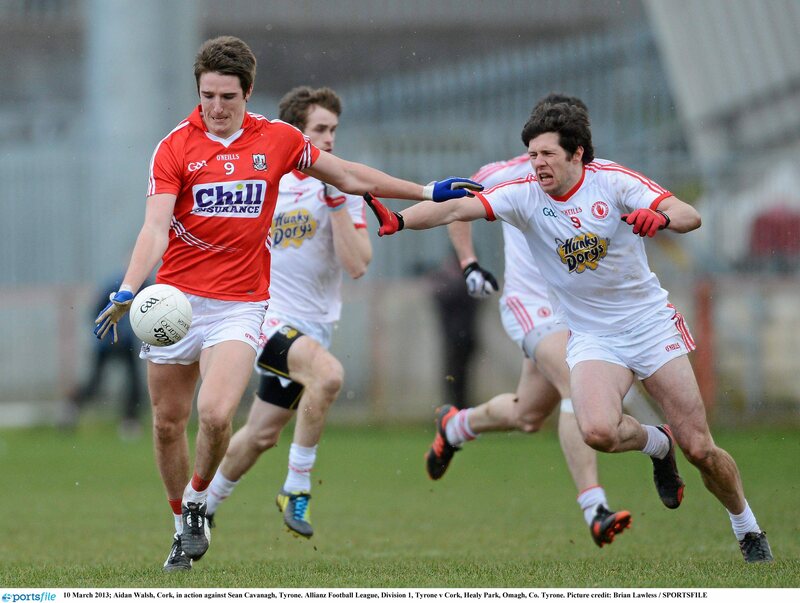 On the inter-county scene, Walsh has arguably been the best player in this year’s national football league to date with several outstanding performances for Cork. In previous years he has had the Sigerson Cup and the Fitzgibbon Cup on his plate as well as the league. However, the All Star feels that he is still as busy this year and that his absence in the Sigerson and Fitzgibbon cups has not in fact impacted on his performances. Many people down by the Lee have linked Aidan’s remarkable performances to the fact that Rebel legend Graham Canty has been his partner in midfield for the majority of the league campaign. Cork have had some terrible luck on the injury front so far this season, particularly in the forward department. Star forward Colm O’Neill recently suffered his third Cruciate knee ligament injury within the space of five years, ruling him out for the season. Walsh is confident his fellow All Star will be back as good as ever next year. Ciarán Sheehan, Patrick Kelly and Donncha O’Connor are also currently on the treatment table but the return from injury of sharpshooting corner forward Daniel Goulding has brought at least some positive news to the Rebels’ camp.